Who taught you to cook?? Was it your mom? 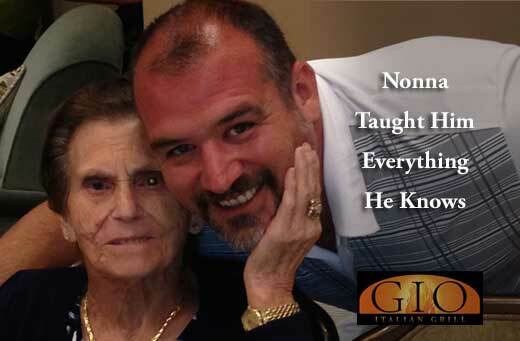 Maybe your grandma – or Nonna if you’re Italian? She had all of the best recipes, and if you were good, maybe she let you hang around the kitchen while she cooked. If you were very good, maybe you got to sample a little bit of what she was cooking. If you were very lucky, she may have let you help make the meatballs! That is if you grew up in an Italian family! Everyone’s Nonna has her special recipe for meatballs. Tony’s Nonna made (and still makes) classic Italian polpettes (Sicilian for meatball). Nonna doesn’t use more than a handful of breadcrumbs in her meatballs, as many Americans do. Instead, they are made mostly of grated cheese and ground beef. Nonna makes a larger polpette, very moist and dense. If you were a smart kid, like Tony, you knew to hang around the kitchen when Nonna was cooking. If you stayed in the kitchen long enough, maybe she let you help mix the cheese into the meat. And maybe, just maybe, if you helped enough, you got to test the first meatball. That’s how most recipes were passed from generation to generation. Luckily for all of us, Tony must have helped out in the kitchen a lot because he got Nonna’s recipe for meatballs! If you want something special for dinner tonight, why not come to Gio for an order of Spaghetti & Nonna’s Meatballs? We make them just like Nonna did, but of course we add a small Gio twist! To finish them off, Tony’s bakes his polpettes in our Woodstone “open flame” oven. Posted in Mangia and tagged Italian Cuisine, Meatballs.